What is a static (solid state) frequency converter? Static (solid state) means no moving parts inside the frequency converter, the definition is relative to rotary frequency converter which using an induction motor to achieve variable frequency. 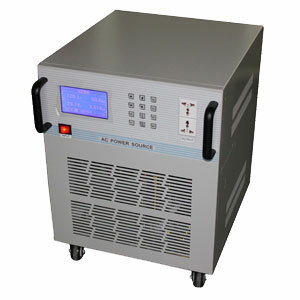 Static frequency converter is converting fixed frequency & voltage AC power to DC to AC by inner electronic parts and components, the multifunctional inverter converts the mains (50Hz/60Hz, 110V, 220V, 400V) through conversion circuit and transforms into the required voltage and frequency of a power supply, the output power source can simulate the world's power system standards. Enter a single or three phase alternating current (AC), internal after ac to dc, dc to ac rectifier converter after conversion, the output is stable pure sine wave, and also can output 400Hz in aviation industry. 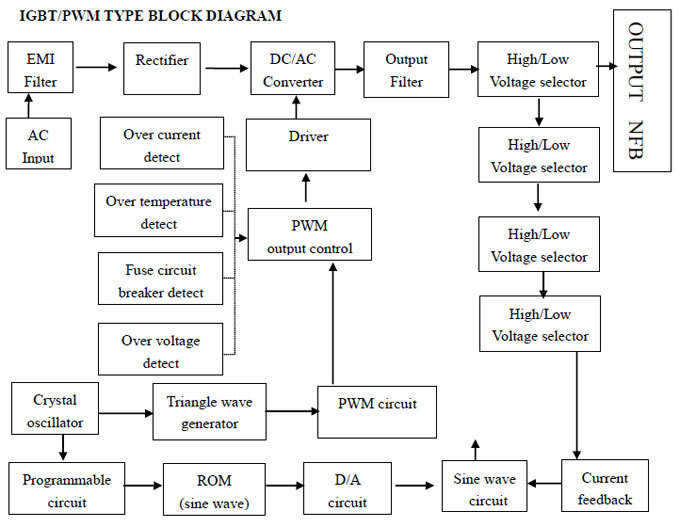 In order to adapt to the trend of the times of the power of green environmental protection, the static (solid state) frequency converter adopts the advanced PWM (pulse width modulation technology), and the international famous brand advanced IGBT power module as drive, has small volume, high reliability, low noise characteristics. Solid state frequency converter using digital signal processing technology can provide voltage, frequency, current, power factor etc. precise data; The large capacity IGBT module design and special driving circuit for IGBT can effectively reduce the complexity of the circuit, and to improve the reliability and stability of the static frequency converter; Input and output electrical completely isolated, anti-jamming and security of the engine. The static frequency converters can provide single phase voltage is 0 ~ 300 v three-phase (0 ~ 520 v) and frequency of 40 ~ 499.9 Hz, adopting programmable frequency refers to the set.